Van Hunt's eclectic R&B incorporates influences from Sly Stone to Bowie. He and the band stop by the studio to perform songs from their latest album, What Were You Hoping For? albumWhat Were You Hoping For? 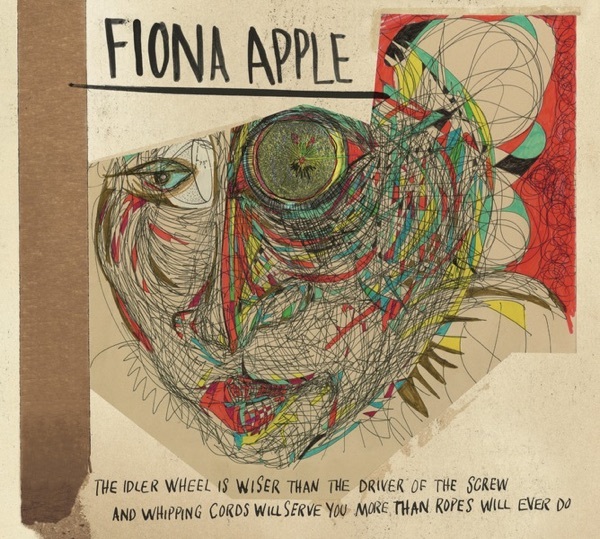 The title of Fiona Apple's latest album The Idler Wheel Is Wiser Than the Driver of the Screw and Whipping Cords Will Serve You More Than Ropes Will Ever Do is certainly a mouthful (though it doesn‘t hold a candle to her sophomore album title). It’s only her fourth release since Tidal put her on the map in 1996, but this time around Jim notes she's taking a slightly different tack. Apple declined production help from friend Jon Brion and worked instead with her touring drummer Charley Drayton. The result, Greg says, is admirably stripped down. The album reminds him of seeing Apple live at her LA home stage, Largo. The vocals in particular are front and center. She's never pushed her voice this far, singing in a high falsetto one minute and scatting the next. Even better, there's plenty of hooks. Greg says it's the best album of her career - a buy it all the way. Jim on the other hand, is reaching for the Excedrin extra strength. While he admires Apple's ambition, he says listening to this needlessly complicated album is a chore. The last track "Hot Knife" epitomizes everything that's wrong: rolling timpani, scatting, a bridge that goes nowhere, and ululations that drive him bonkers. Trash it.